As a nanny of a precious two-year-old girl, each day is certainly unpredictable. Some days, she is the sweetest, cutest little booger on the planet. Other days, I just feel like I can’t take it anymore. The whining won’t stop, the string of toys left on the floor seems never-ending, and clean-up turns into World War III. On those days, it’s all I can do not to lay down on the floor and throw a temper-tantrum along with her. I have to admit, I really have it pretty good. Baby girl is very well-behaved most of the time, and for that I am thankful. But on her bad days, I get a little glimpse into what it’s like for parents and care-givers whose kids are bad far more often than they are good. Regardless of what category they fall into though, even the most difficult of children need encouragement. But unfortunately, they can be the children that are most difficult to give it to. So what do we do then? The thing about kids, is that there is always something to encourage them in. No matter how challenging a child may be, they are still good at something or have some good qualities. And as caregivers, it is our job to look for the good. Seeking that out helps us remember the good of the child in the moments where we only see the bad. Once we have identified the good, that is when we need to step up and encourage. If the child is struggling with obedience but is very intelligent, we can encourage the child by saying, “You are such a smart boy/girl. You are capable of so many awesome things!”. That encouragement may be all the child needs. Or we may need to take the “encouragement in the midst of tough love” approach. It may be more beneficial to say something along the lines of “When you disobey, you make life a lot harder than it has to be. You are such a smart kid. You are capable of much better behavior”. In that moment, we are scolding the child for their bad behavior, while still affirming and encouraging them. I once read a blog post about a mom who’s daughter was so strong-willed, she probably could have ruled a small country by the time she was 10. But this little girl referred to her mom as a “brick wall”. What she meant, was that her mom was the one who said “no” to her stubborn ways, and didn’t let the temper-tantrums win. Her mom didn’t yell at her, or tell her off. She simply stood firm with, quiet, consistent “no’s” when they were needed. Then she would scoop up her little girl and show her kindness and love without budging on her stance. As child-care providers, we can encourage in very similar ways. Encouragement doesn’t mean giving the child what he/she wants. Encouragement means that we show the child that they are loved and valued no matter how they have acted. It’s staying steadfast in discipline while still letting the child know that they have worth. In the same way, discipline and “standing firm” does not mean yelling, freaking out, or criticizing the child. It is always possible to show love even while disciplining. It may not always feel like it’s possible, but it is. 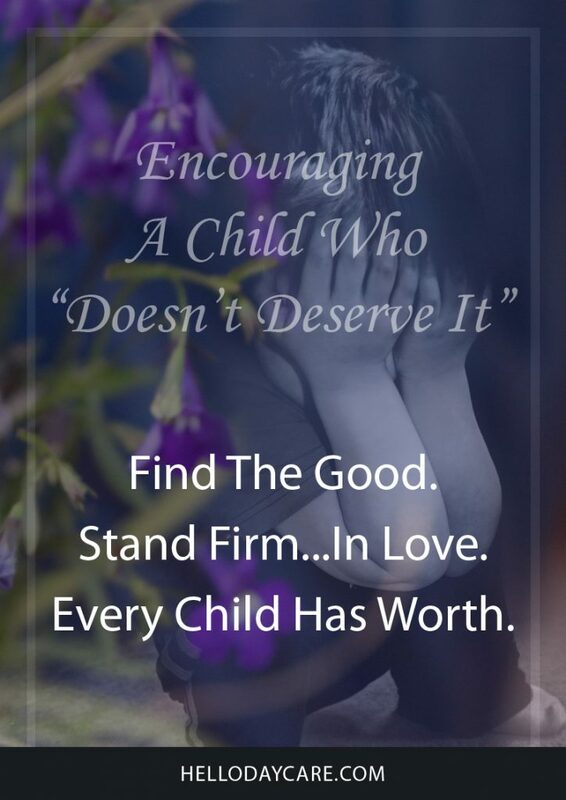 Every child- every person- has worth, and that’s the mindset we need to have when the children we care for are being difficult. Because the truth is, all of us have bad days, yet we hope that people won’t tear us down on those days. Instead, we often need love the most when we deserve it least. 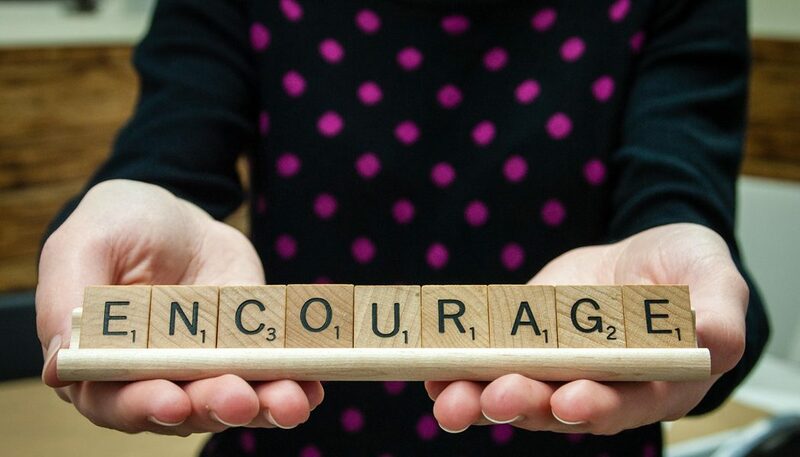 We often need encouragement when there isn’t a whole lot to encourage. The same is true for every child that we care for. They need encouragement, even when they are driving us bonkers. They need to know they are valued and talented even after they’ve acted badly. And it’s up to us to give them what they need. So encourage those kids. Look for the good. And while you are standing firm in discipline, be sure that you don’t withhold love or encouragement. Part-time nanny from North Carolina. Lover of Jesus, Family, Dogs, Blogging, and Coffee. 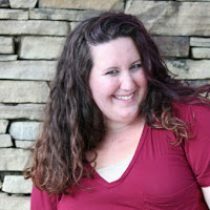 I blog at The Peculiar Treasure- a Lifestyle Blog that is dedicated to encouraging women to love themselves and others well, and to live a full, purposeful life. These are great tips, and ones I need to remember with my own little ones! Thanks for sharing, Kristin! It’s not always easy, of course, but a good practice to live by. Thank you for reading, Julie!